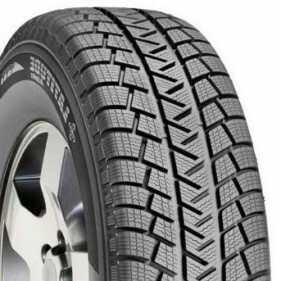 Michelin Latitude Alpin is a non-studdable performance winter tire for SUVs, vans, pick-ups and 4x4. Michelin Latitude Alpin has been manufactured to meet the needs of drivers of light trucks, SUVs, 4x4s Crossover Vehicles wishing to combine driving pleasure, outstanding traction efficiency, safety and exceptional mileage winter after winter. The Michelin Latitude Alpin tires are covered by a limited 40 000 km warranty against tread wear, in addition to the normal warranty on labor and raw materials. Michelin also provides a 3-Year flat tire changing assistance. Michelin Latitude Alpin has a superior braking capacity thanks to special bidirectional blocking sipes BDS (Bi-Directional-Sipes) which have a higher concentration per block and more biting edges for increased road adhesion in cold weather on snowy or icy surfaces without compromising stability on dry pavement. StabiliGrip technology, meanwhile, provides the Latitude Alpin a variable geometry with a ridged surface and rigid base of the blocks which has the effect of increasing the stability and improve handling at high speeds and in all conditions. Michelin LatitudeAlpin has a rubber compound enriched sunflower oil (Helio Compound), molded into a directional tread design that increases resistance to hydroplaning on wet roads and also has a positive effect on the traction and stability. Enjoyable comfort and quiet driving! 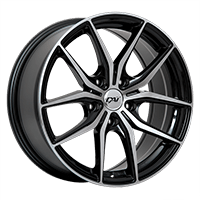 The computer optimized design and precision manufacturing of the Comfort Control technology provides the Michelin Latitude Alpin with a comfortable and quiet ride reducing significantly the vibrations and road noise, as well as it extends the life of the tire . 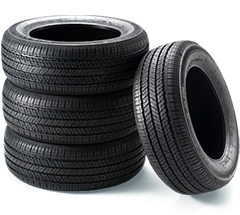 Michelin Latitude Alpin is consistent with Quebec's Bill 42.